The Golden Delicious apple tree is trying… low temperatures are holding it back and I worry about a frost Sunday morning. Lovely photograph. I hope that after the weekend’s low temperatures it has pulled through. 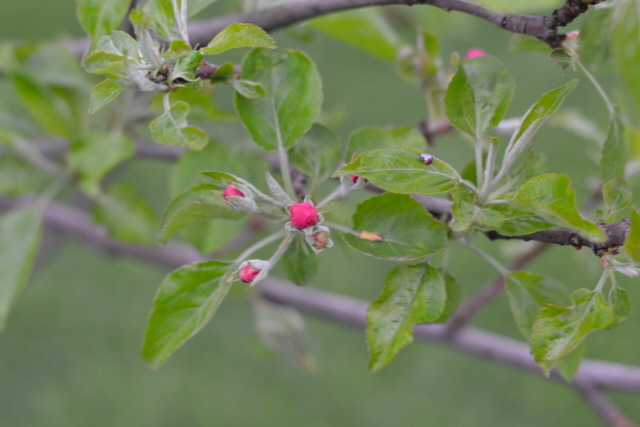 The trees are flowering now in Chicago–I’ve never seen such blossoms. Am hoping it means a good year for fruit in our region.